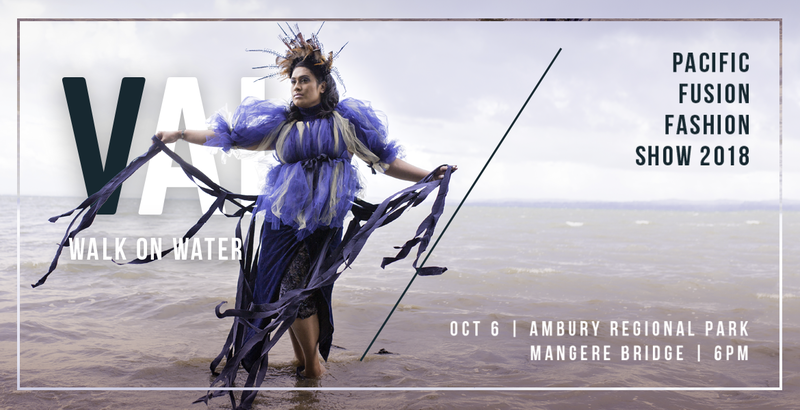 Nora Swann Ltd: in collaboration with Bright Sunday, Mangere-Otahuhu Local Board and MAI FM present Pacific Fusion Fashion Show 2018. 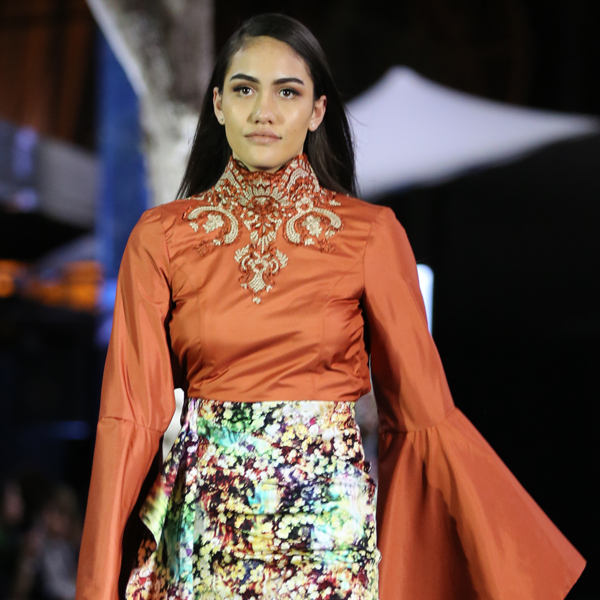 Building on the success of sell-out events in 2016 and 2017, PFFS returns to cement its place as one the most exciting and unique platforms for Māori and Pacific fashion talent. 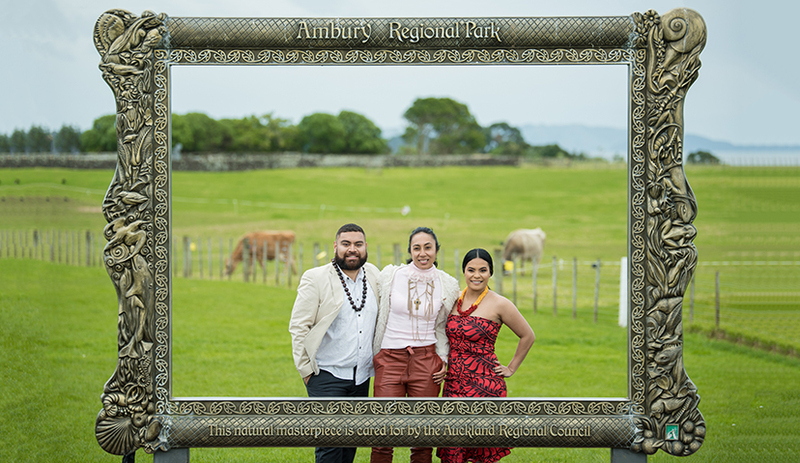 The event this year takes place amongst the rich landscape of Ambury Regional Park, with the night’s theme of Re:creation drawing from the story of Papatūānuku to celebrate this land and the elements as the entity that not only sustains us, but provides us with the ultimate source of creative inspiration. Come along and see some of our most talented local and international designers showcase their work in this evening of high fashion, expression and entertainment. 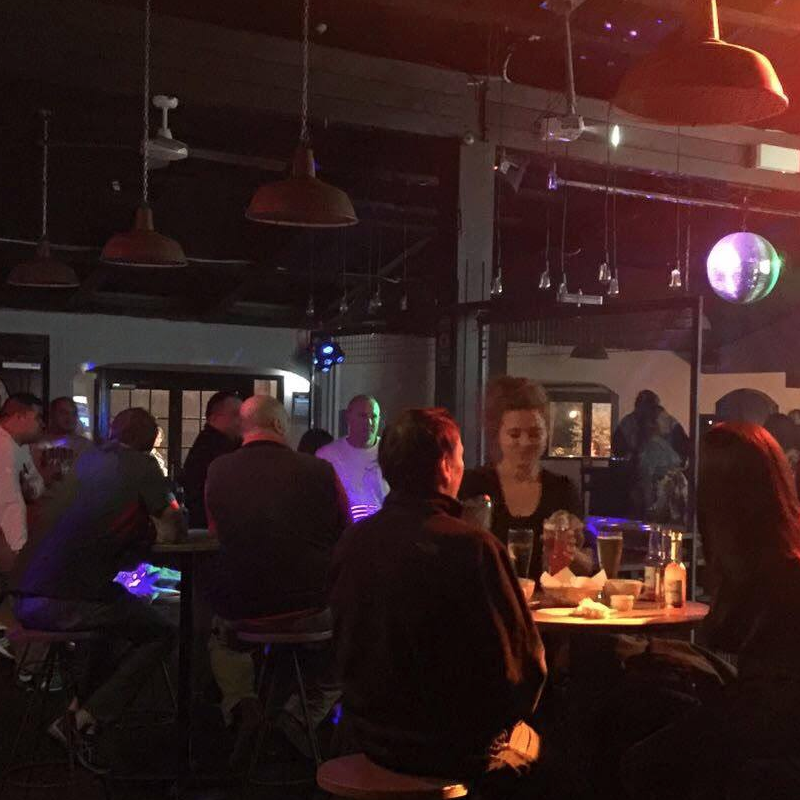 All ticket holders will be presented with a complimentary drink on arrival and there will be food and drink available to purchase throughout the night. 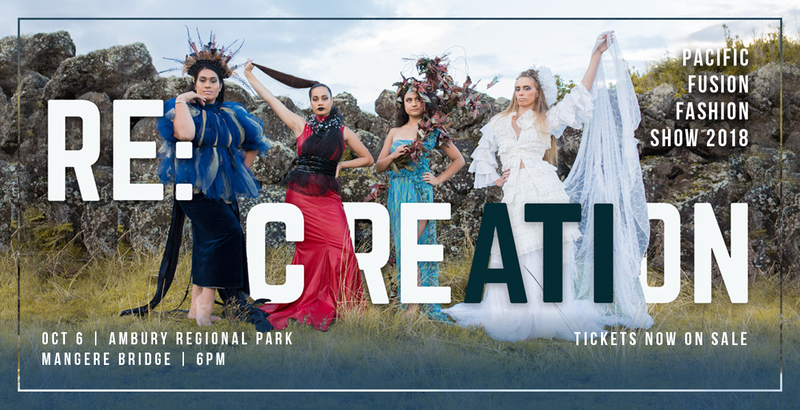 The theme of Re:Creation draws from the story of Papatūānuku to celebrate this land and the elements that sustain us and provide us with the ultimate source of creative inspiration. Harness the transformative power of fashion to explore your creativity, and tell your story. 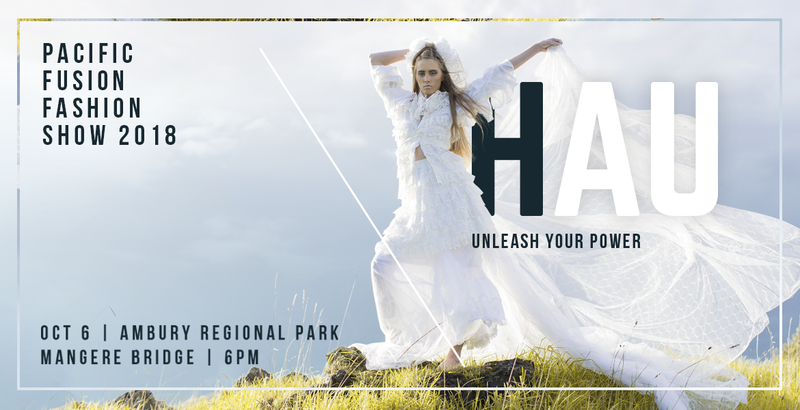 THIS YEAR’S PACIFIC FUSION FASHION SHOW COMBINES EMERGING LOCAL AND INTERNATIONAL DESIGNERS – WITH THE LUSH BACKDROP OF AMBURY PARK. Take inspiration from over 45 models showcasing the works of 13 designers from Aotearoa, the Pacific and the United States of America. Special guests include hosts John Pulu from Tagata Pasifika and Suivai Autagavaia from Hibiscus and Ruthless. The Pacific Fusion Fashion Show will be the event of the year. 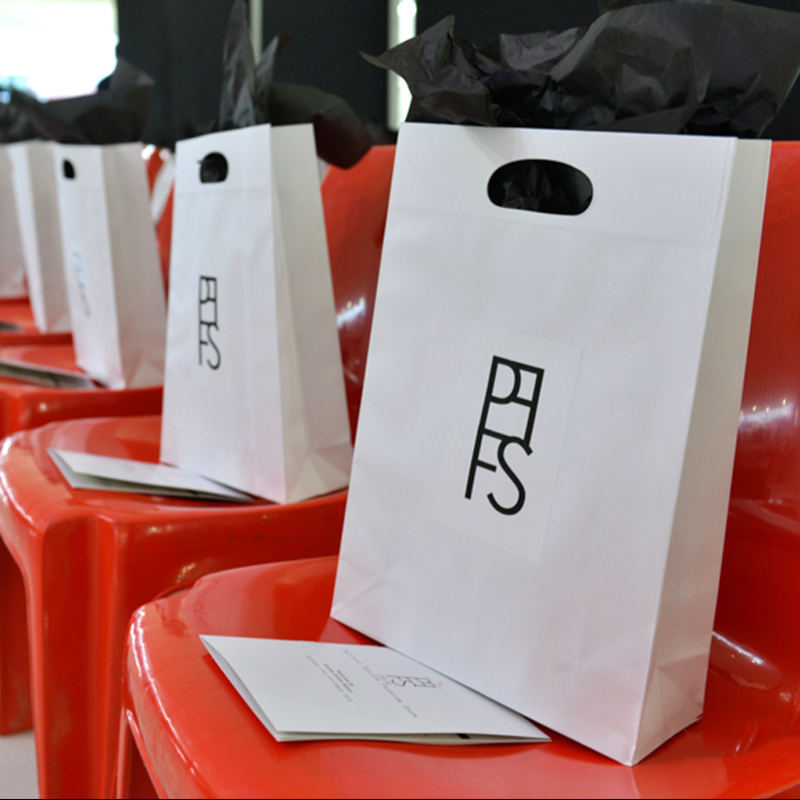 Indulge in the VIP experience to secure the best seats to see all the action on the catwalk. 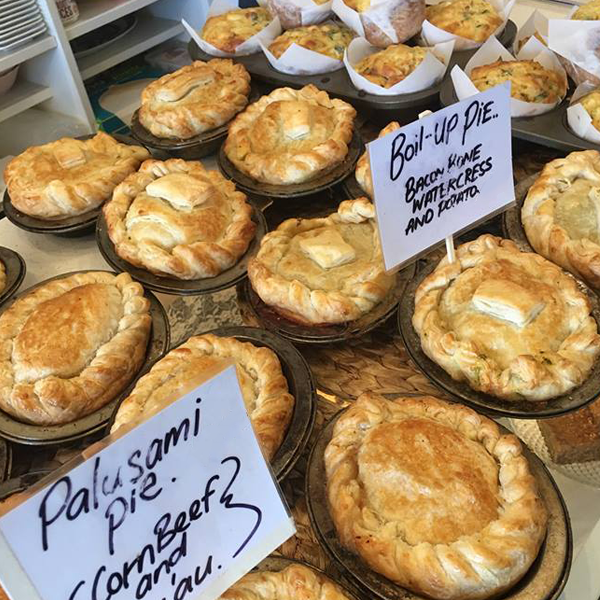 Nourish your soul with your favourite island refreshments. Witness unique dance performances from Ura Tabu and interludes from South Auckland’s own Vallkyrie. Ambury Park is known for camping, hiking, wildlife, but now it’s time to add High Fashion to the list. 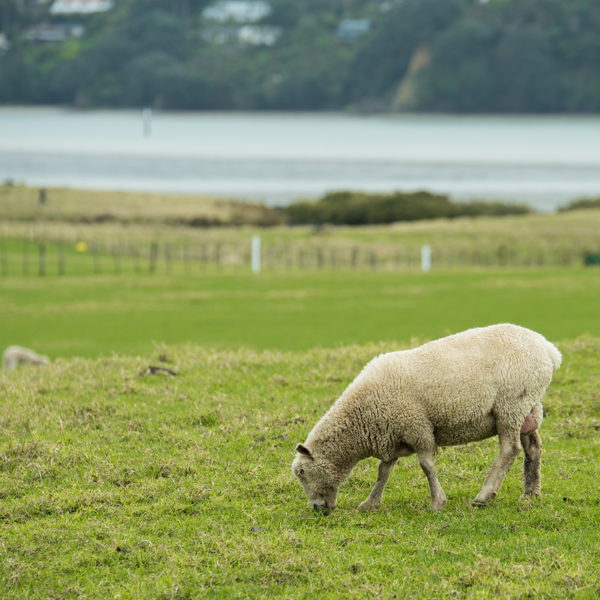 The area lies along the coast of Manukau Harbour and is a significant habitat for wildlife. There are examples of basalt lava flows and remnants of early Māori stone mounds nearby. At Ambury Park we will be fully immersed in the elements of earth, air, fire and water. Explore the exquisite design collections of 13 emerging designers from Aotearoa, Australia, Samoa and America. Being people of the Pacific we all have strong connections to the natural elements. This show is all about abstract, contemporary and edgy fashion expression. (link to Designer page). 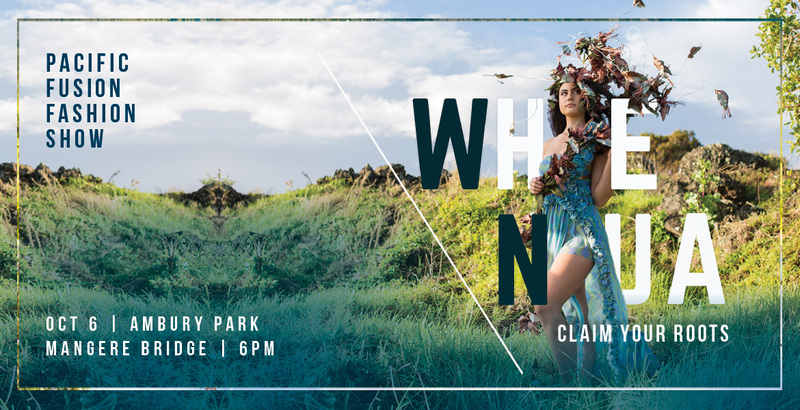 Witness 45 emerging Pacific models strut their stuff on the catwalk as they compete for the Face of Fusion 2019. Our models identify as female, male, and non-binary, with 12 plus-size models included in this year’s show. 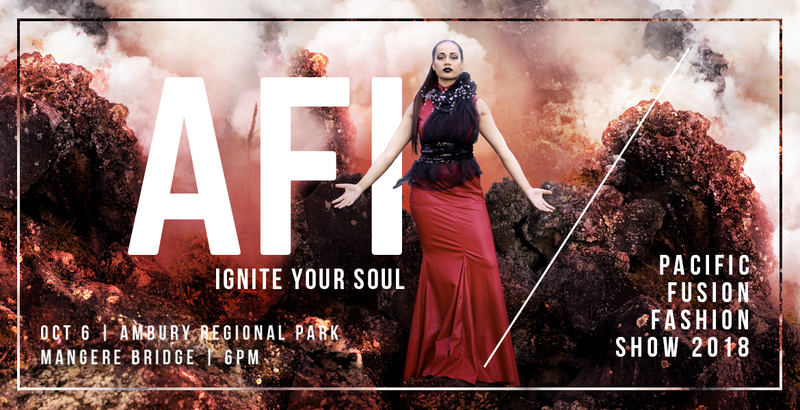 Experience contemporary Pacific dances by Ura Tabu and music during intermission by South Auckland’s own Vallkyrie. Ura Tabu Pacific Dance is a female troupe that explores contemporary dance based on a Pacific cultural base. Vallkyrie mix powerful glam rock anthems with tribal dance beats and moody dark jams they have summoned from ancient cultures. 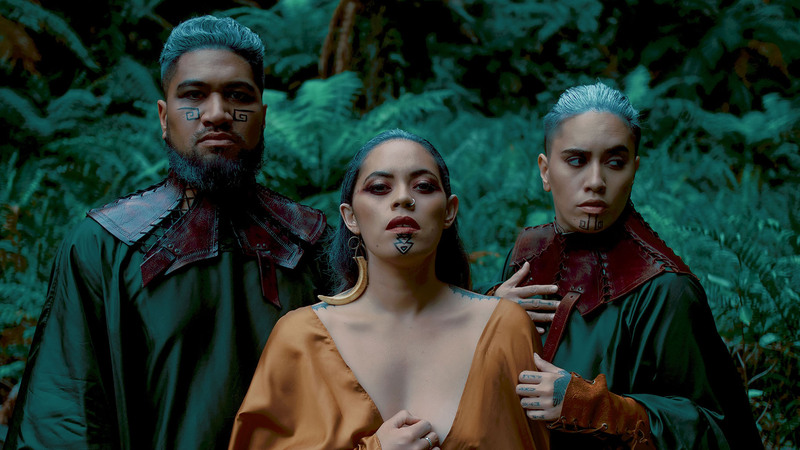 Their prolific songwriting and organic instruments is evident in their latest single Aztec Breath and in the video they pay tribute to Papatūānuku in all her glory. Nourish the soul with your favourite island refreshments. Strike a pose, with a steaming pork bun. Treat yourself with wine, nibbles and a goodie bag worth over 150 dollars. Touch up in the exclusive VIP makeup booth. From the runway – to the dancefloor! Join us for the after party at Republic nightclub.